Take a Look by Dinda Puspitasari: #88LOVELIFE Soft Launch and My Birthday! 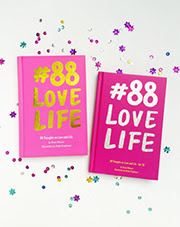 #88LOVELIFE Soft Launch and My Birthday! Meanwhile, you can pre order the book (with 20% discount) through this link!